When you're planning a destination wedding, it's important to trust the vendors you've selected. 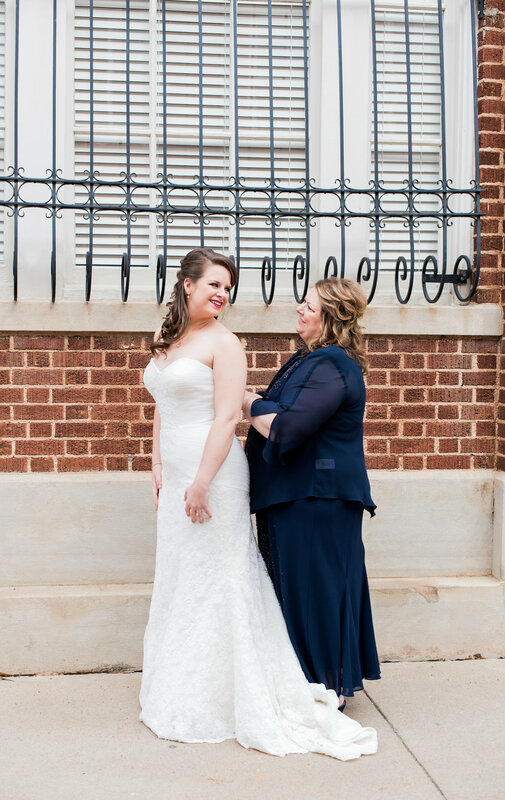 Kasey and Dillon, who reside in Oregon, were determined to get married Kasey's hometown of Greenville, but couldn't be on hand to decide every detail. 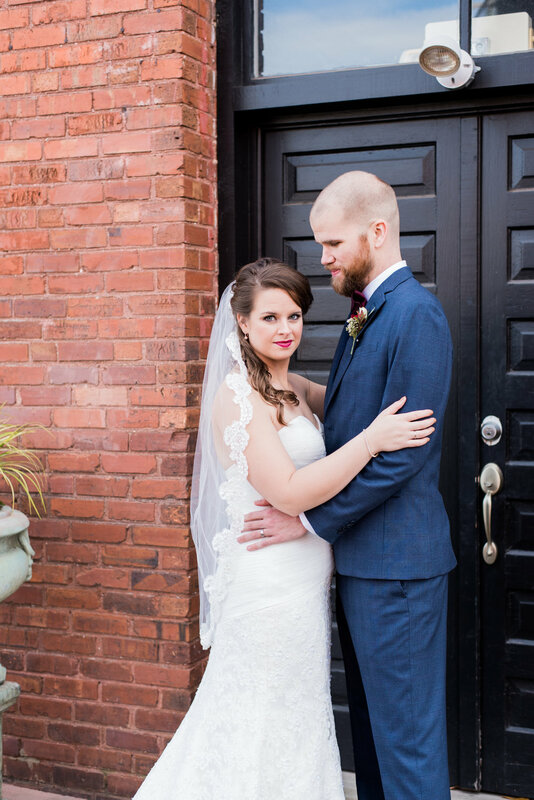 From the staff at the Davenport to their photographer Rebecca Hicks, the couple's vendor team stepped up to create the intimate hometown wedding of Kasey and Dillon's dreams. Says Kasey, "I could not have had a better group of vendors by our side the entire way. All we cared about was being together, and everything else was icing on the cake!" Their destination wedding in the South Carolina Upstate was the perfect start to their new lives together and was dotted with custom details and beautifully thought out moments. Sometimes, you've got to wait a little while for the one. Although Kasey and Dillon's relationship had blossomed into a wonderful friendship in college, they seemed destined to never take it to the next level. The two watched one another go through other romantic relationships during their university years without getting the timing right. Yet, says Kasey, "Then when we could finally be together, neither of us made the move!" At that point in their relationship, they had to go their separate ways: Kasey moved out of town and the friends lost contact with one another until a fateful spring day. "[Dillon] reached out to me one April and that was that. We were dating by the end of the month!" she recalls. The two grew their relationship during Kasey's Masters program, and Dillon stood by her as she began her nationwide search for a post-graduation job. Although those trips were difficult for them both, Dillon had a sweet surprise for Kasey. "When coming home from one of these trips, he met me at the airport and told me I was gone too long," Kasey remembers. "I made a joke about making a deal in which we were never to be apart again, and he then said, "ok, let's make a deal" and got on his knee and proposed." A misconception that many people have is that a small wedding is somehow less fun than a large one. With the right planning and group of guests, your wedding can be a blast no matter if there are 10 people in attendance or 400! When they sat down to envision their wedding, Kasey and Dillon kept focusing on one element: something that was small and special. "We always knew we wanted it to be intimate," says the bride. "We had about 45 attendees, and that was even more than we were originally planning--it always is!" 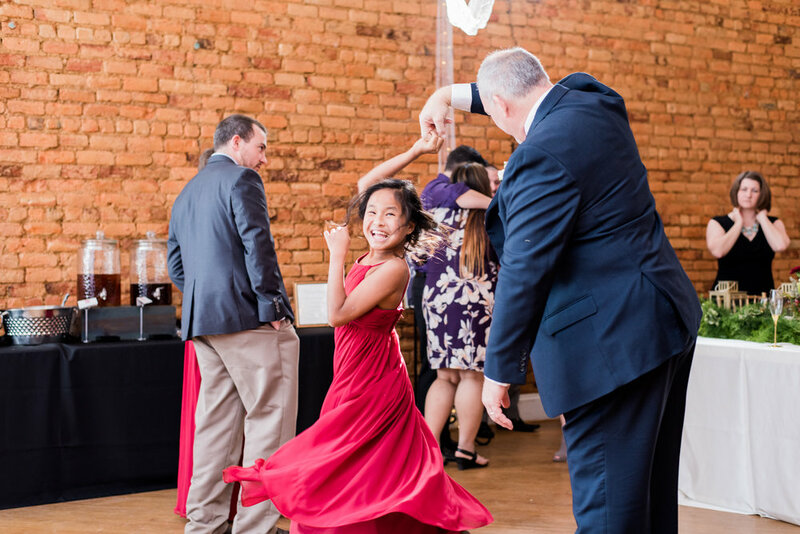 With a select number of guests in mind, they then turned to finding the perfect Greenville area event space to host their gathering. 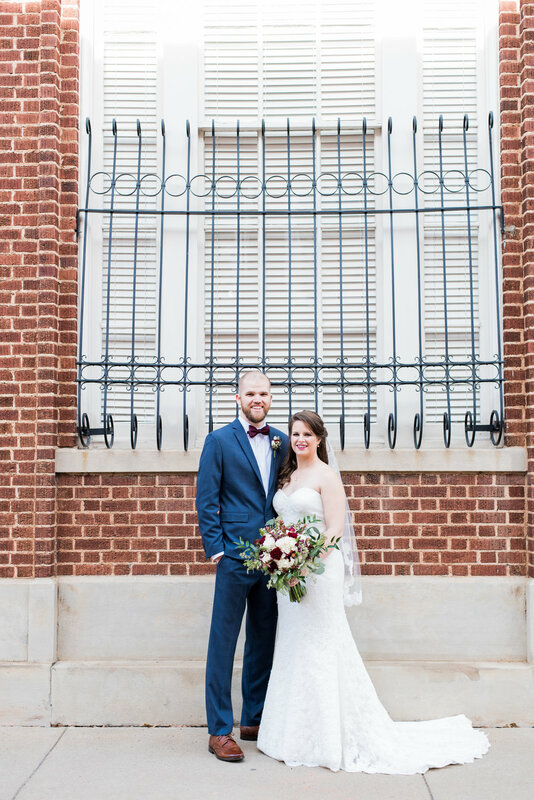 Kasey and Dillon settled on the Davenport in Greer, South Carolina, a historic Upstate wedding venue that dates to the late 19th century. "We knew we didn't need a lot of space, so we wanted to pay for a venue where we could use all of the space and didn't have to pay for any space we weren't going to use," remembers Kasey. "The Davenport was beautiful, the perfect size, and the team was very accommodating. They put out chairs, hung drapery, and had everything perfect for us without us lifting a finger." When you've got a small wedding, you've got more flexibility to make the day your own. For Kasey and Dillon, this meant that they were able to organize multiple events over their wedding day within one event space. Their wedding day started early as the wedding party get ready and changed into their festive attire. The ceremony began at 11 and was followed by an upbeat reception. After the reception ended around 3, the guests had a short break where they gathered at a nearby brewery to relax and grab a drink. States bride Kasey, "We then changed the Davenport space into a casino night for the evening! We rented black jack, poker, and craps tables from Funtastic Events in Atlanta for a few hours. We had Moe's catered and just laid back and had fun with our closest family and friends. We didn't have a photographer during this time, but we got a lot of iPhone photos!" Although Kasey and Dillon had to plan their wedding long distance, they included plenty of touches to make their event their own. Kasey proudly wore vintage pearl bobby pins lent to her by a childhood friend's mother: in addition to being a thoughtful addition to her wedding attire, the bobby pins also served as her "something old." Kasey's childhood in Greenville was well represented, as her hair was done by another long time friend, and the wedding day treats were provided by a family friend. Kasey's dad provided an important detail for their guests, too: the favors! "My dad makes wine and he made all of our wine for the wedding. Each bottle had a picture of us from our engagement session and our attendees each got to take a whole bottle with them along with a wine glass with our initials etched in them," says Kasey.